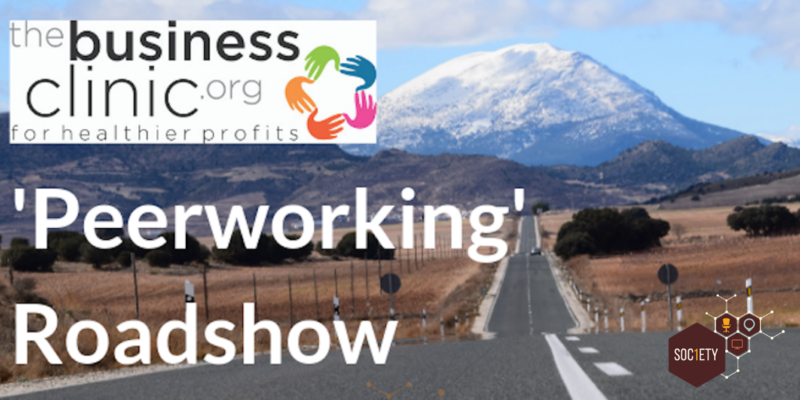 THE BUSINESS CLINIC’S ‘PEERWORKING’ ROADSHOW. The Business Clinic Organisation CIC have collaborated with Society1 to hold a special FREE ‘Peerworking’ session at our offices in Preston City Centre – 9-10 Cross St, Preston Lancashire PR1 3LT. The Business Clinic is a not-for-profit Community Interest Company dedicated to supporting and helping businesses and their owners in Lancashire. We believe that ‘Peerworking’ can truly change the way you run your business and give you that strategy, support, guidance and accountability that so many businesses are lacking to move themselves forward. We want to build awareness and plug as many people as possible into this highly-powerful and successful business development tool. Community sits at the heart of Society1. We are a group of businesses all working to achieve our personal professional goals. By working in a shared environment we are able to offer support, collaboration and assistance to each other as part of our daily work. We believe that a Peer to Peer approach to business support is a powerful tool to any business. Working with others who have experience in business or someone in a similar position can have such a positive impact for any person. Be our guest and come along to experience what ‘Peerworking’ has to offer your business on Thursday 28thFebruary at 10.00am-12.30pm. It won’t cost you anything and you will take something away that will help you with your business. To find out more about ‘Peerworking’ click here.